I've tried many sourdough bread recipes. In fact, great sourdough is my favorite kind of bread and the reason why I caught the bread baking bug. With this one, you mix the dough and then don't touch it for about 30 hours so it can develop flavor. I've got to say, this bread, while not my prettiest, has the most developed sourdough flavor I have ever been able to bake at home. It's not too strong, but it is distinct, and the aroma, can I just tell you! This dough was very wet, and I had a lot of trouble tightening it up even when using the stretch and fold method. It kind of stayed wet and sticky, and I was a little worried about adding too much flour. The loaf ended up being about 9 inches in diameter and 3 inches high. Kind of flat, right? And slashing it? Forget it. The crumb is full of large airy holes, but it is also quite moist. I am definitely going to continue working with this recipe, because the sourdough flavor is amazing. Seriously. It's worth it. 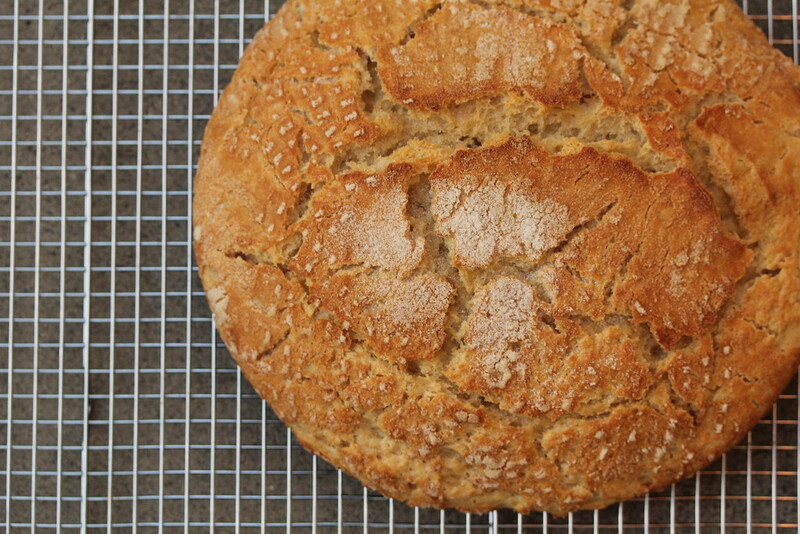 I found this recipe on Farine, and it was inspired by Kneadlessly Simple by Nancy Baggett. I've just ordered the book based on the flavor of this bread (My name is Karen, I'm addicted to cookbooks). 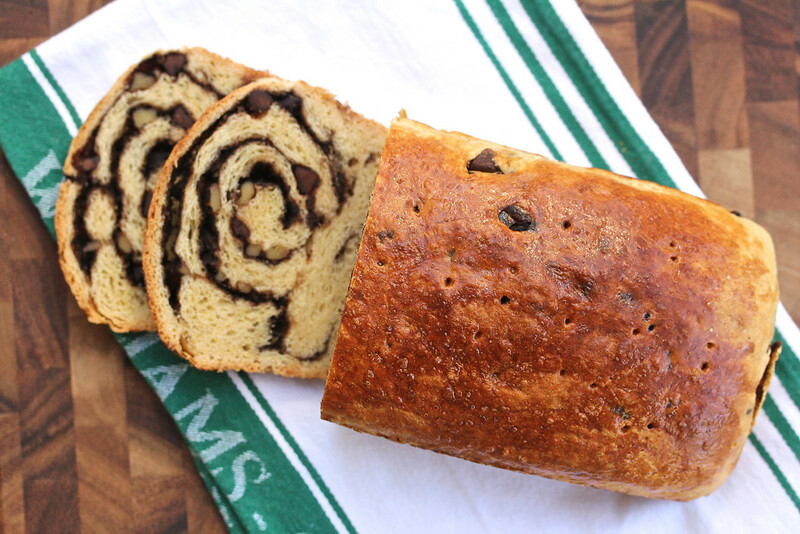 In the past, when I heard the word "babka," I thought about a Seinfeld episode. Other than that, I had no idea what it was, other than Jewish or Eastern European bread. Now, while I'm no expert, I have a better idea. 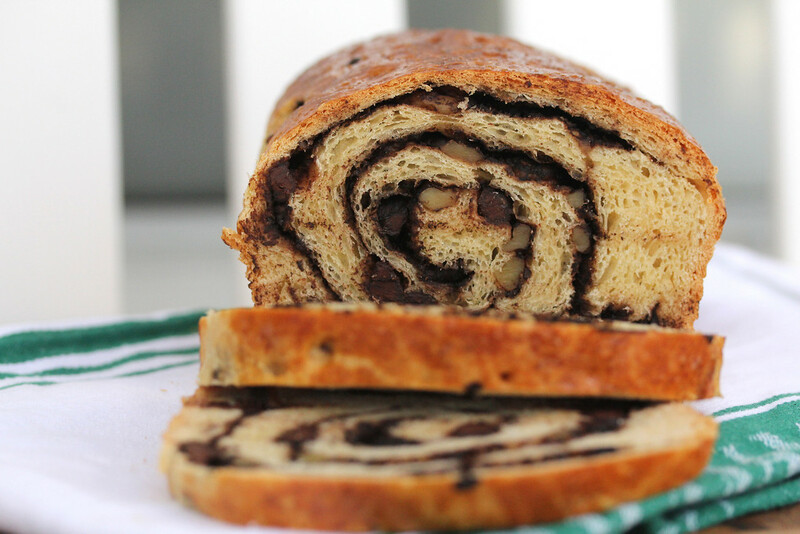 Babka is a kind of brioche laced with cinnamon, fruit, and/or chocolate. There are versions that are twisted and topped with streusel, and versions that are formed into a ring. This particular recipe involves a vanilla and cinnamon brioche dough filled with a chocolate and walnut filling. It's fairly simple and does not involve a lot of twisting of the dough, nor does it require a streusel topping. 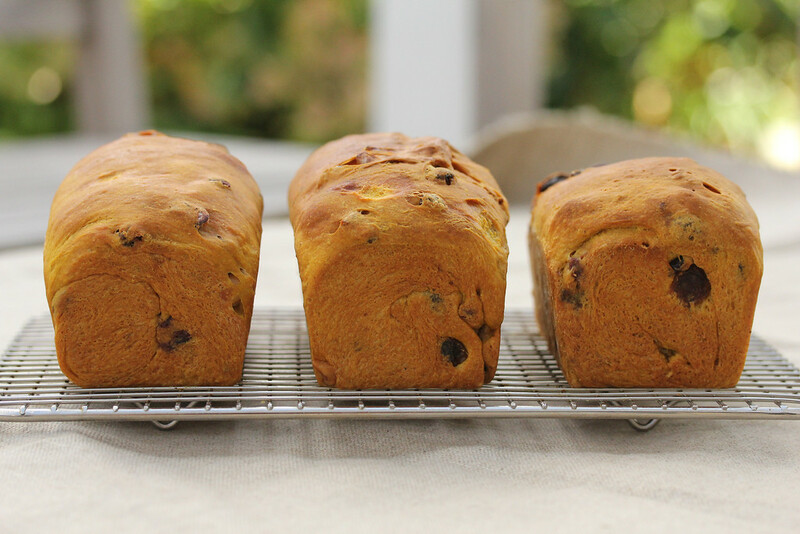 This month's Twelve Loaves challenge is to bake a bread that contains nuts, seeds, or grains. This recipe was perfect, and involved ingredients that were already in my pantry and freezer. 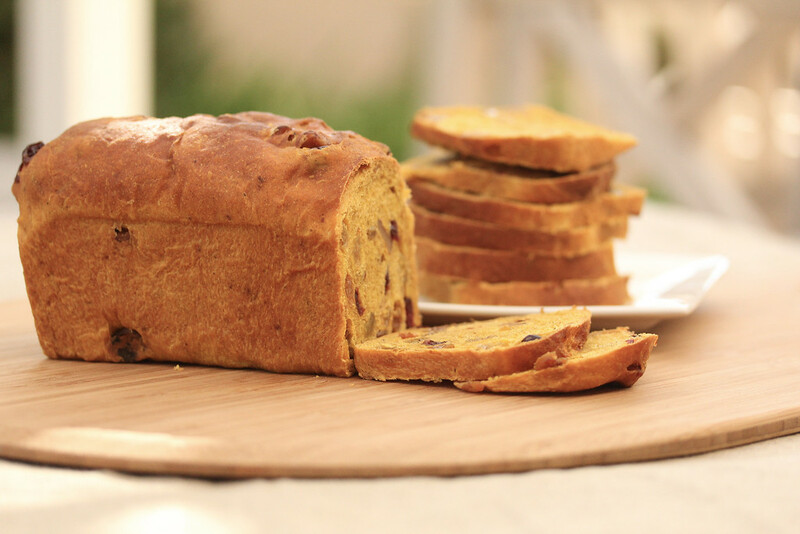 This recipe comes from King Arthur Flour, and was inspired by A Blessing of Bread by Maggie Glezer. These are my favorite chocolate chip cookies. I know. Everyone has their favorite chocolate chip cookie recipe, but listen to me now and believe me later, if you want something that is different from any other chocolate chip cookie, make these. A little over a year ago, I decided to bake my way through Peter Reinhart's award winning book, The Bread Baker's Apprentice. This is the next installment on this totally fun project. And we enter the "rye zone." This bread is made from a sourdough starter, and is about 1/3 rye. Those little specks are onions. This bread takes two days to make, but most of the time is idle. It requires white rye flour, which I ordered from King Arthur flour. I would definitely make this bread again. Many bakers attempted this project prior to me, so Google BBA Challenge #31 to get other bakers' feedback and tips on this recipe. 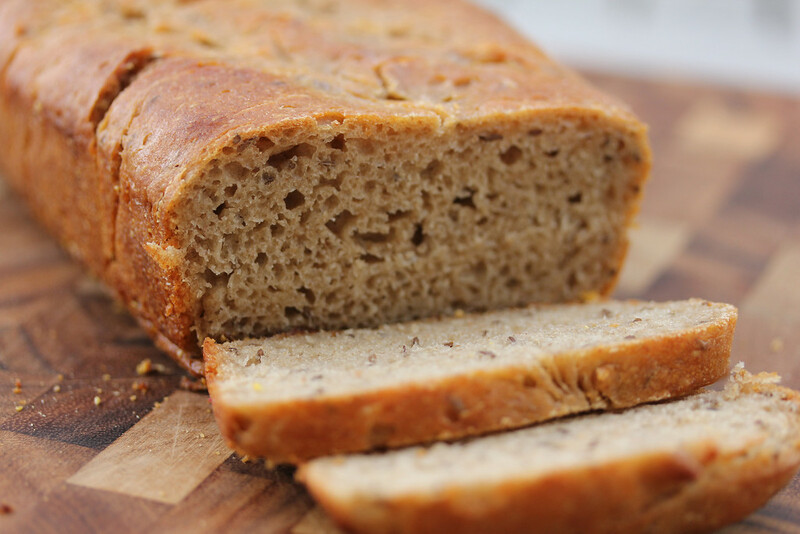 Rye flour has a low level of gluten, so it does not provide a lot of structure for loaves. Rye flour can also be very gummy if not handled properly. This bread contains sourdough starter and all rye flour. This was my least favorite bread of the entire book. The crust was not "crusty." It was more like a glue coating. Obviously, I need to learn how to better handle rye. 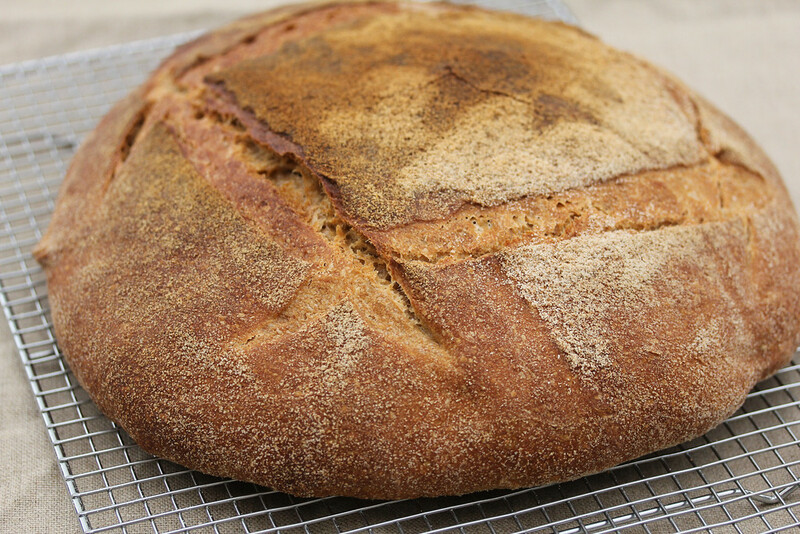 If you're a big rye fan, Google BBA Challenge #31 to get other bakers' feedback and tips on this recipe. 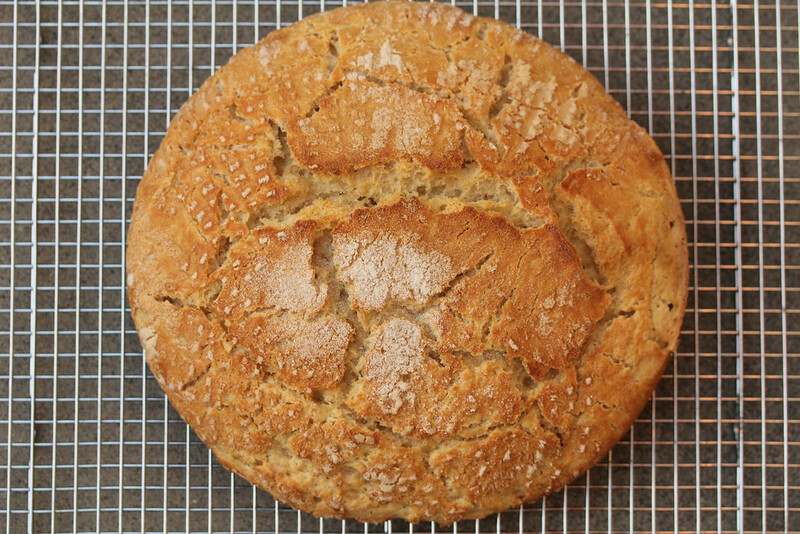 See this post for the recipe and my take on this bread. Loved it. Google BBA Challenge #31 to get other bakers' feedback and tips on this recipe. I am sharing this with Bake Your Own Bread. 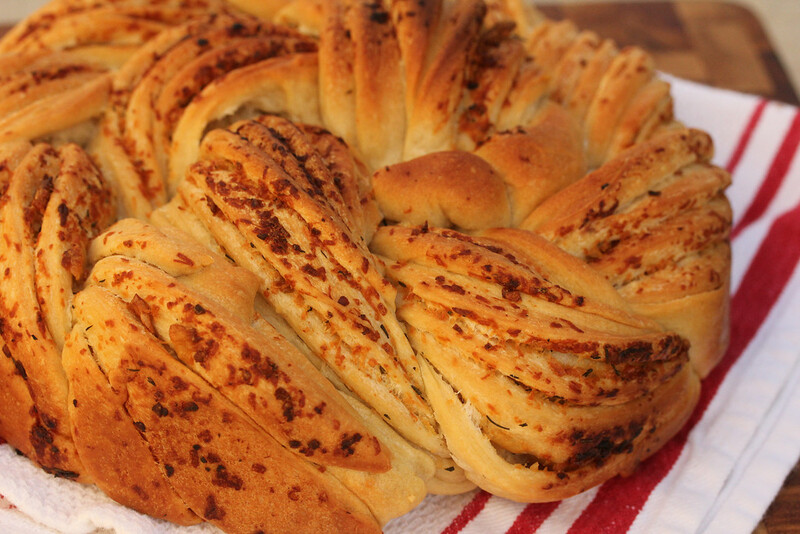 Hop over there to see lots of fabulous bread recipes and posts. This cookie is three kinds of chocolate, held together with very little flour, eggs, sugar, and are also full of chocolate chips. See these cookies? They have only 1/2 cup of flour. I have made these cookies several times, and will attest to their addictiveness. They are so good. The cookies are rich, just like fudge. The good news is that they can be kept in the freezer for a few weeks if you want to make them as gifts..... if you can leave them alone. Bagels. Dough boiled in sweetened water and then baked. 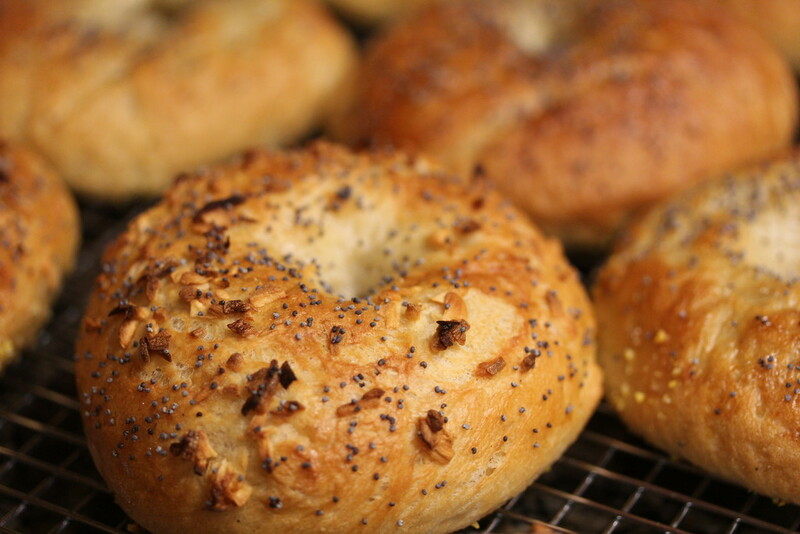 This bagel recipe is so different from others I have tried. A major difference is that the dough is very wet and sticky. In addition, these bagels didn't require a second rise and were ready to float in the boiling water almost immediately. The recipe is kind of overwhelming when you first read it (three pages of instructions! ), but it is really worth it because these bagels are the real deal. It's not as complicated as it seems. Just read the recipe all the way through. I did not read the part about how you have to turn the oven off and let the bagels sit there for five minutes, and then open the oven door and let them sit there for five minutes more. My second batch was glazed and ready and had to sit for an extra ten minutes. Regardless, the process is miraculous. Mix the dough, let it rise, deflate it, and let it sit in the refrigerator overnight. 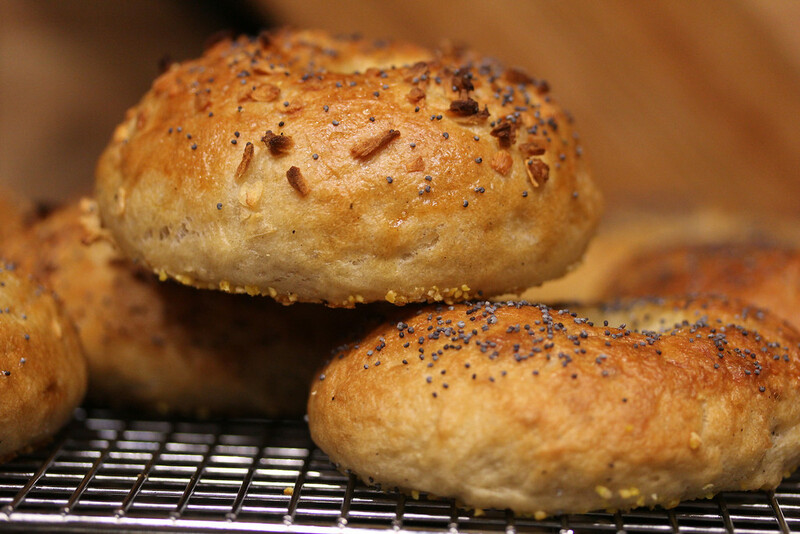 Shape the bagels, boil them in sugar water, glaze and seed them, and then bake them in a steam oven. For my toppings, I used poppy seeds and onion flakes soaked in water. This dough yields ten bagels. You can make the dough up to two days in advance, so the idea of having fresher than fresh bagels for breakfast is really possible by making one batch of five one day, and the other batch of five the next day. This recipe is from the book Baking with Julia by Dorie Greenspan. 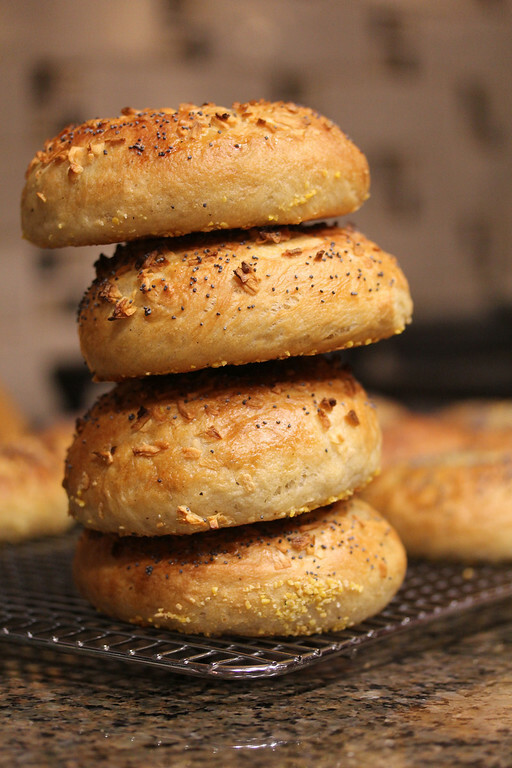 If you would like the recipe for these awesome bagels, visit this week's host of Tuesdays with Dorie, Heather, of Heather's Bytes. She also offers some variations, including using some whole wheat flour. Try these. Don't be intimidated! I am participating in Tuesdays with Dorie. You can find other bakers' experiences with this recipe here. I am thrilled to be baking along with the Bread Baking Babes as a Buddy on World Bread Day. This bread is all about shape. And it is beautiful. I was able to make this bread right before a drive from Orange County to Carmel to meet our favorite foodies for a fabulous weekend of dining and sightseeing. Our car smelled like garlic all of the way up north. This was a good thing. This bread was great with a little Boursin spread at cocktail hour. We also improvised with some leftover breakfast trout from Katy's Place. Not bad! The bread is moist but a little dense. It had great oven rise, but is not all that airy. Maybe that is from the buttery filling. What's so cool is that it stays moist over time. It does not taste "day old." At the bottom of this post is a video demonstrating the braiding technique by Ciril Hitz. 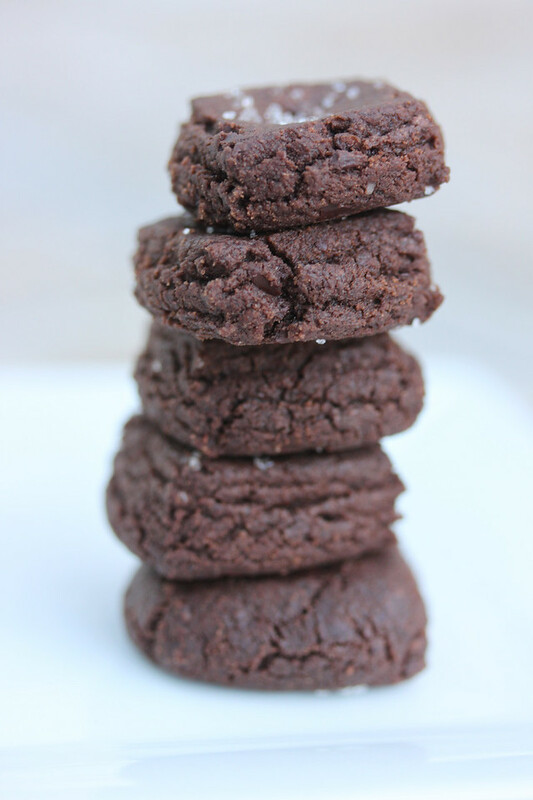 Chocolate sables are a lovely French shortbread cookie that has a "sandy" crumbly texture. 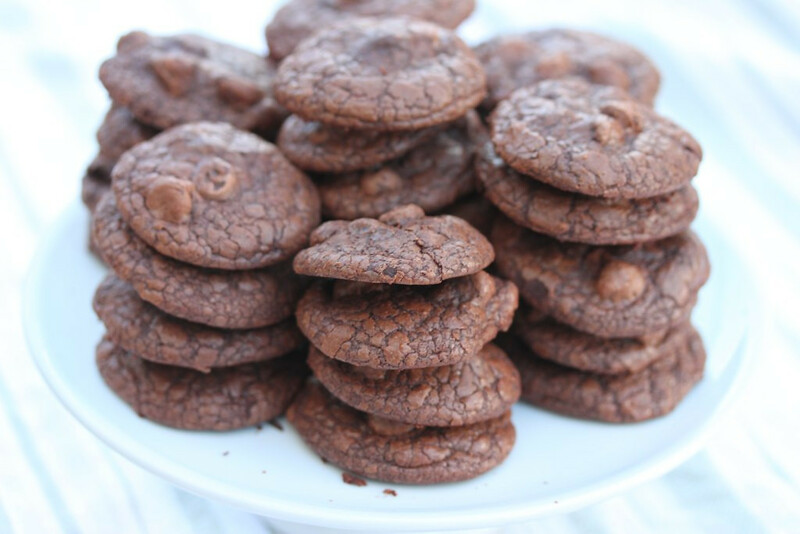 Wonderful, pop-able chocolate cookies with a bit of salt. 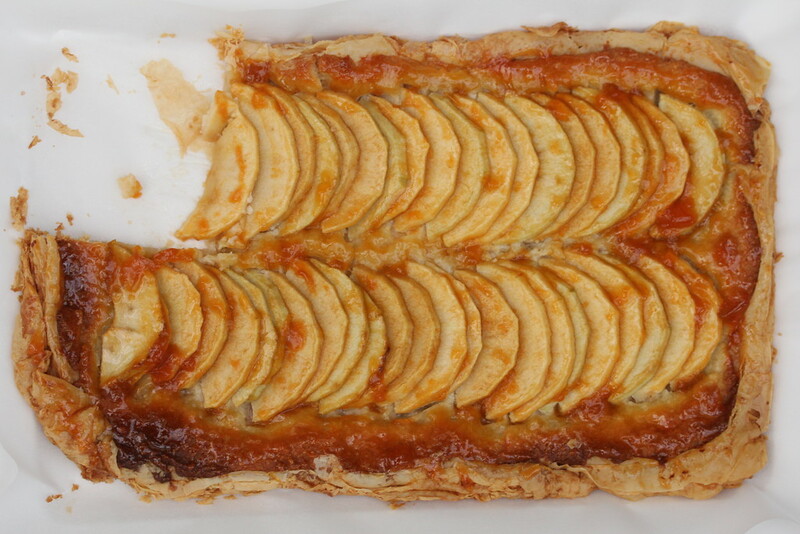 This is another wonderful recipe from the cookbook Miette featured in this past post. 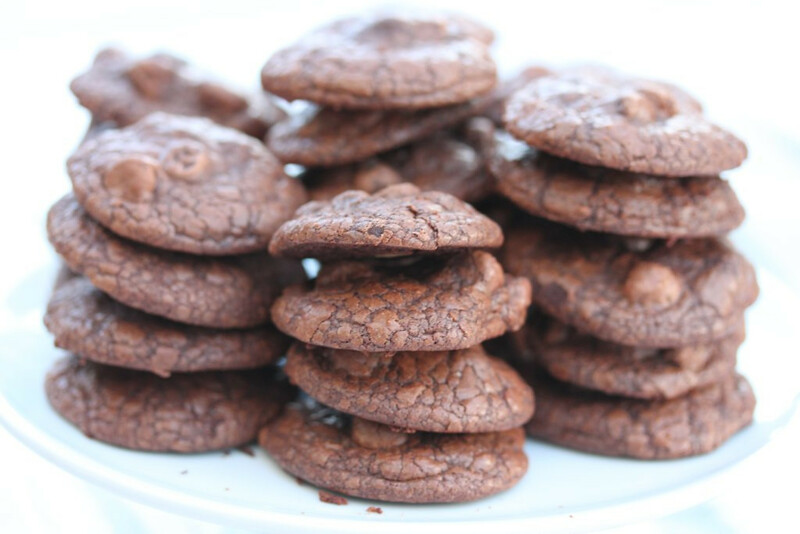 These cookies are both easy and sophisticated. They rock as gifts. Adapted with permission from Meg Ray, owner of the bakery Miette, and author of the book with the same name. You can also find the recipe here written by Meg herself. Three more breads from my year of baking my way through every recipe in Peter Reinhart's The Bread Baker's Apprentice. This. Is. One. Of. The. Best. Breads. In. The. Book. When I bake it, I have to hide some if I want any. Enough said. For the recipe, click on this link. You won't be sorry. I promise. It's sooooo good. 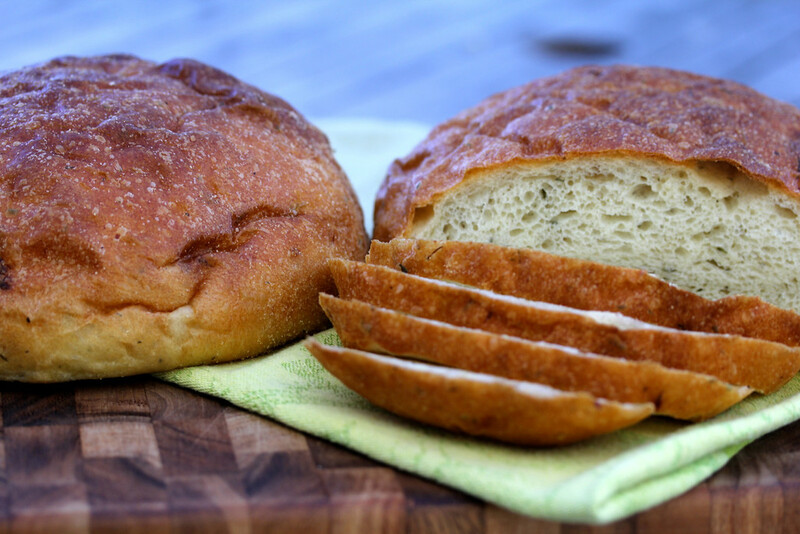 For other bakers' experiences and feedback, Google BBA Challenge #28, Potato Rosemary Bread. According to the book, The Bread Baker's Apprentice, this bread is from the southeastern region of Italy. The dough is very wet, and begins with either a biga or a firm sourdough starter. I used a firm sourdough starter. While I slashed the dough as recommended in the book, I think it was kind of useless with such a wet dough. I will some day figure out how to slash wet dough and get that beautiful appearance. The recipe calls for fancy durum flour, but offers alternatives if this flour is not available (I get mine from King Arthur Flour). The taste is excellent. 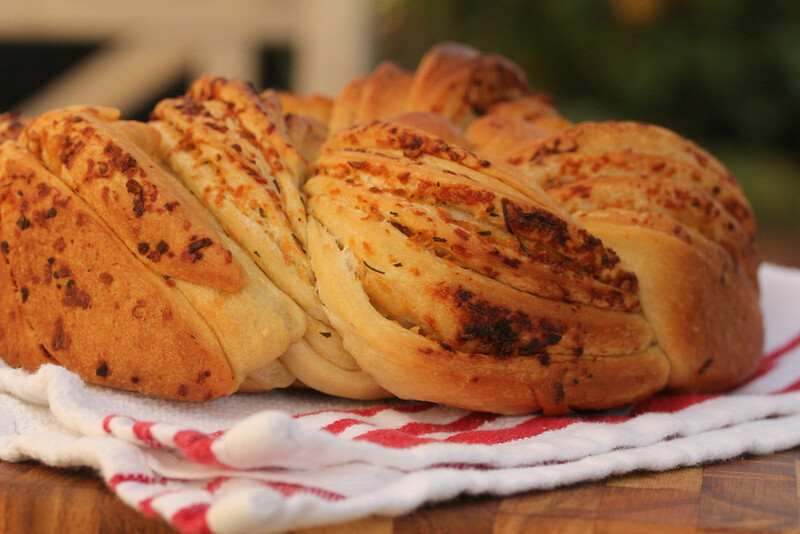 For the recipe, visit The Bread Experience blog. For other bakers' experiences and feedback, Google BBA Challenge #29, Pugliese. This bread takes two days to make, but most of this time is "inactive." This bread recipe does not call for any commercial yeast. It's pretty amazing. The book also provides instructions for many variations (different flours, cheese, garlic, nuts, herbs, etc) including a bread spiked with commercial yeast. You can find the recipe for this bread here. 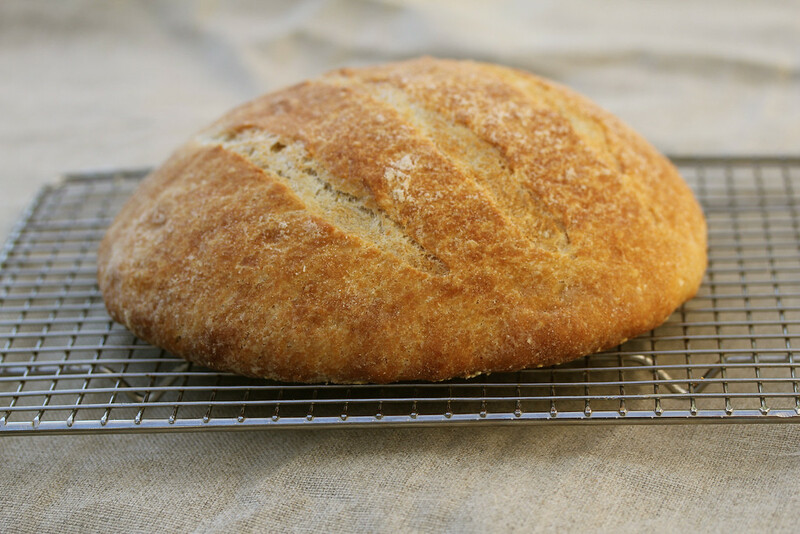 To see what other bakers have to say about this bread, Google BBA Challenge #30, Basic Sourdough Bread. 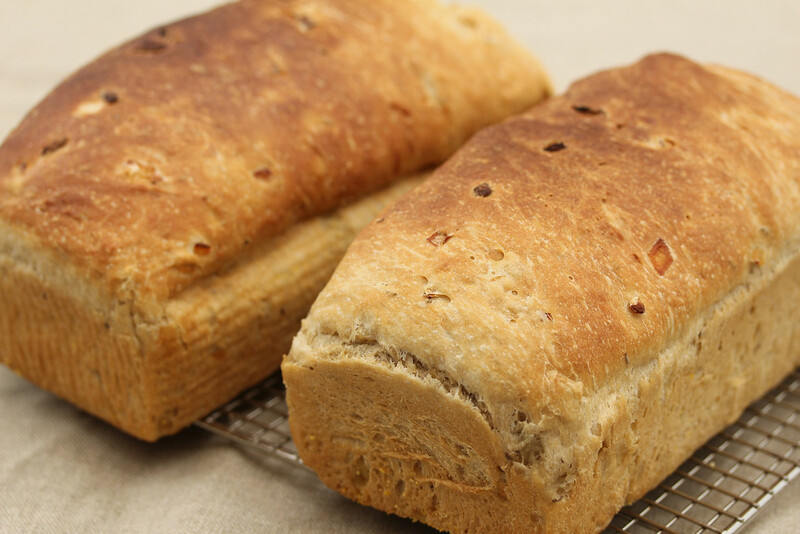 I am sharing this post with Bake Your Own Bread. It's fall. Apple season. 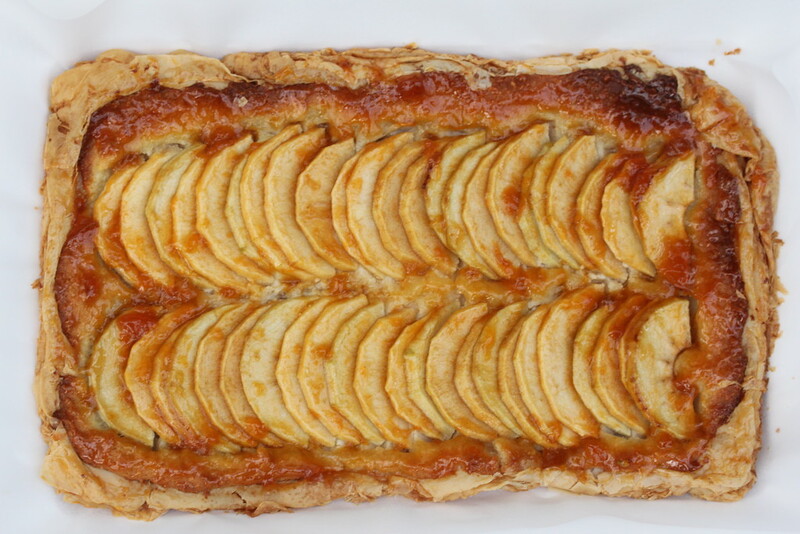 While on a quest to find the ultimate apple pie recipe, I came across this French style tart. I thought it would be the perfect sophisticated dessert. Flaky phyllo pastry, butter, sugar, Braeburn apples, almond cream, and an apricot and cider reduction glaze. I will admit that many sheets of phyllo dough were sacrificed to produce this tart (moment of silence in honor). It's been years since I have worked with phyllo. Thank goodness the package had way more sheets than I needed. Oh, by the way, this recipe requires that you make the almond cream at least four hours in advance of assembling and baking this tart. 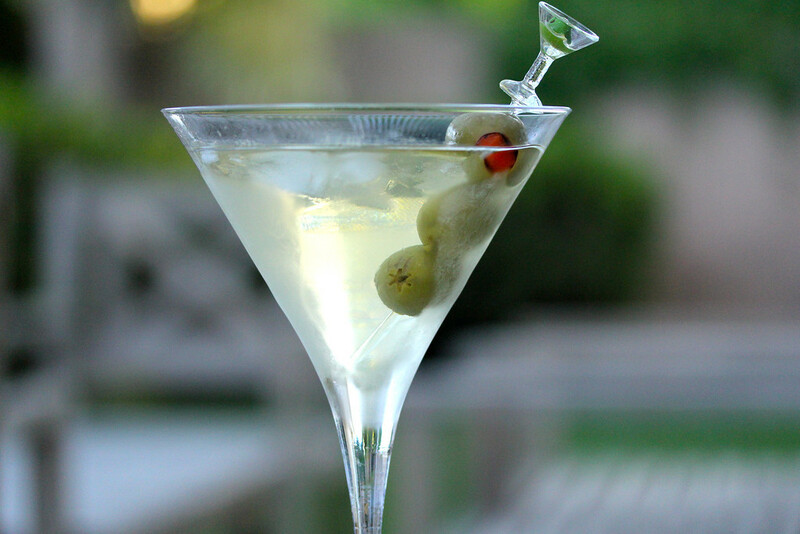 If you like olives in your martini, give the dirty martini a try. This cocktail is a variation of the traditional martini with the addition of liquid from a jar of cocktail olives to give it a slightly briny taste. Nothing dirty about it. Fill a glass or a shaker with ice. If you must, you can substitute vodka for the gin. I made a pie. I've never made a pie before. Well, actually, I've made chicken pie with frozen puff pastry, and quiche with purchased crust, but I've never made a sweet pie with crusts that weren't made by Pillsbury. Top and bottom crusts. 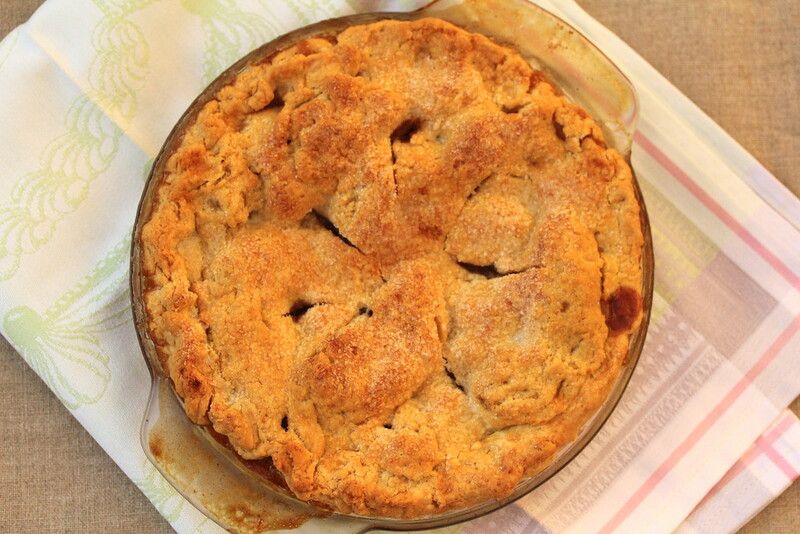 I should have baked this pie in an actual pie pan, but what did I know? I think this is some sort of tart pan. I"ve had it forever. Anyone know what it's designed for? Deep dish pie? Regardless, I'm pretty proud of my first apple pie. 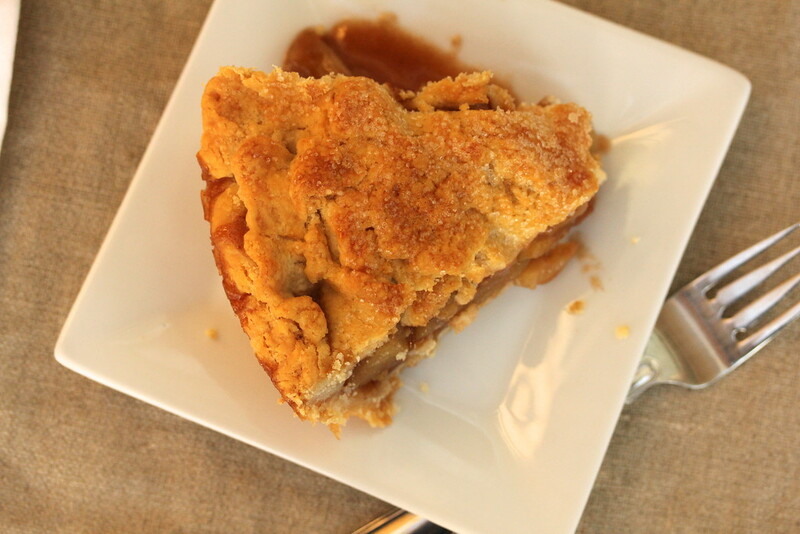 The crust for this pie is really forgiving. Mine ended up having little mini pea sized pieces of butter visible throughout the dough without a lot of effort. Coolness. That's what's supposed to make pastry flakey. 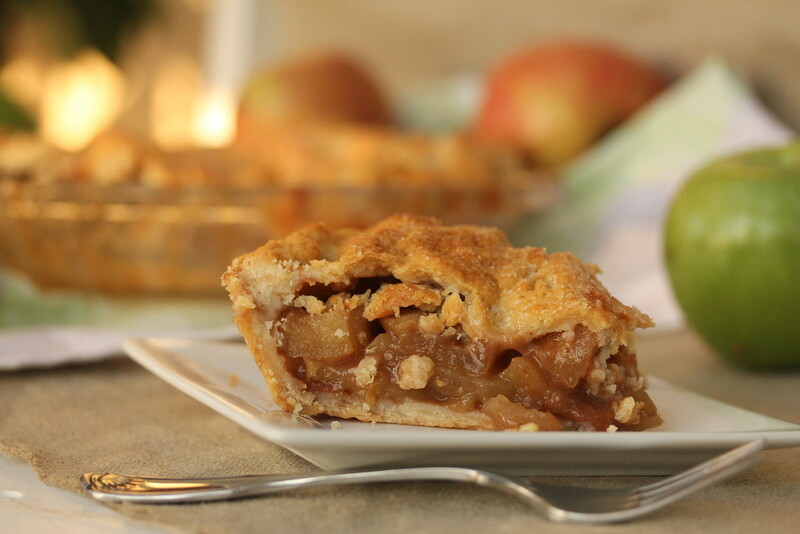 The filling consists of sliced apples, lemon juice, cinnamon, apple pie spice (cinnamon, mace, cassia, and nutmeg), sugar, flour, and an apple cider reduction. If you don't have apple pie spice, you can substitute any combination of cinnamon, nutmeg, allspice, cardamom, or any other spice you think might work with the apple cider reduction. What's really cool about this recipe is the apple cider reduction. You take apple cider and boil it down until it's really concentrated. It adds so much apple flavor. Check out the reduction oozing from a piece of pie. 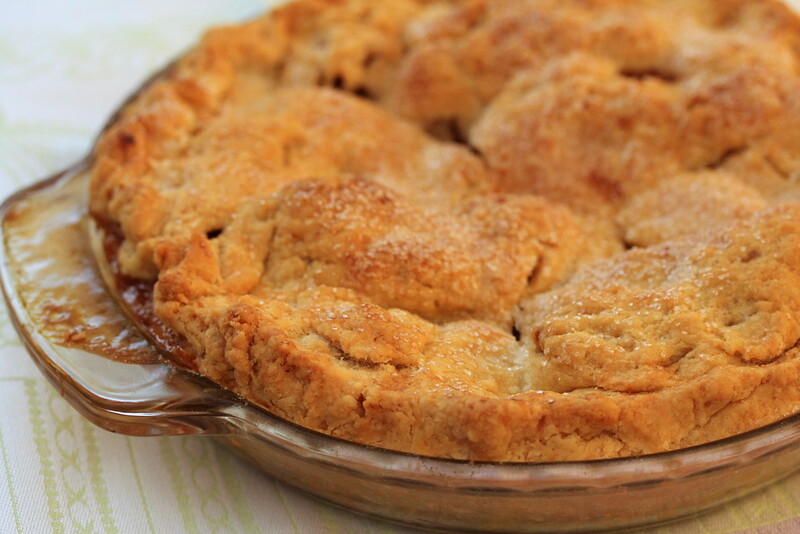 I used Oh-So-Easy Pie Crust from Girlichef. Hop on over there to print the recipe and view the tutorials. Make a top and bottom crust from this recipe. The only thing I did differently was to chill the shortening pieces well in advance of making the dough. 6 C peeled and cored apple slices. Mine were about 1/4 to 1/2 inch thick. Remove one disk of the pie crust, roll it out on a lightly floured surface so that it will fit a 9 inch pie pan. Place it in the refrigerator. Bring the apple cider to a boil over high heat and reduce it to 1/2 Cup. This can take from 15 to 40 minutes depending on your pan. I prefer a shallow nonstick sauce pan. Set the cider aside to cool completely. Preheat the oven to 375 degrees F. Whisk the flour and spices together. Toss the apple slices with the lemon juice, and then toss the slices with the sugar and spice mixture. Add the apples to the pie shell, making sure not to leave behind any of the sugar/spice mixture. Pour the apple cider reduction over the apple slices. Place the remaining crust over everything and press the two crusts together. Cut slits into the top crust, brush with butter, and sprinkle with sugar. 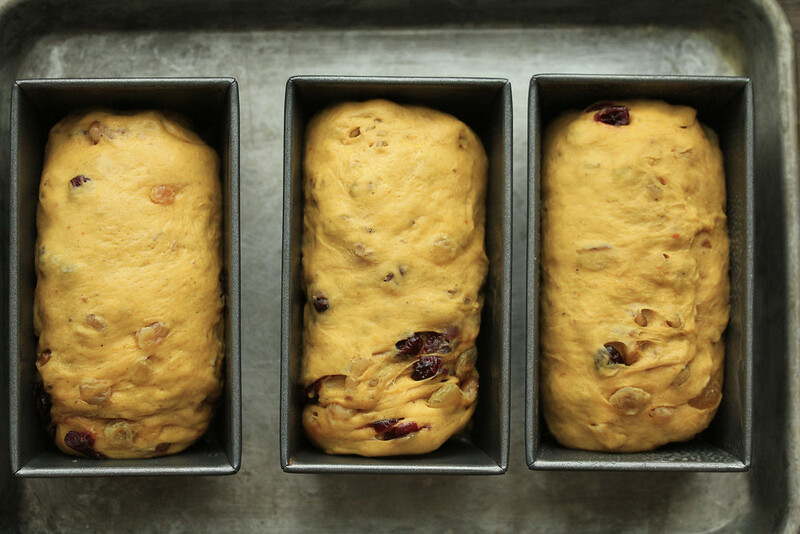 This week, the Tuesdays with Dorie bakers are baking this Cranberry Walnut Pumpkin (or Butternut Squash) Loaf. This recipe is on page 108 of the book, Baking with Julia by Dorie Greenspan. This is a yeast bread, not a quick bread, and the dough requires an overnight rest in the refrigerator to develop flavor. The recipe also calls for baking the loaves in three 5 inch loaf pans. I just happen to have them. Yay. My bakeware collecting binge paid off. I feel so justified. I wasn't all that excited about making this bread. I mean, I'm sure the orange color in a yeast bread can be weird for some people. Plus, it's blazing hot here in southern California right now. We're not exactly in the fall mood. Guess what? I really liked this bread. The pumpkin/squash flavor is faint, and the bread tastes a lot like cinnamon raisin bread but with a nice added dimension. Plus, you get vitamins A and C. It's almost health food. And they're sooooo cute. I made two changes to the recipe. Instead of fresh cranberries, I used dried cranberries, and instead of active dry yeast, I used SAF Gold. 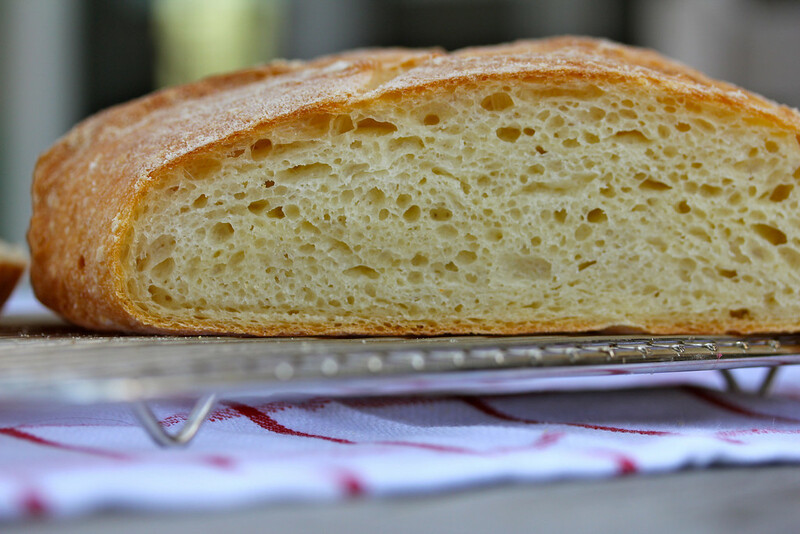 That yeast is an instant yeast that is supposed to hold up well to enriched doughs (doughs that contain eggs, butter, and sugar, all of which are in this bread). I was really pleased with how the dough performed. 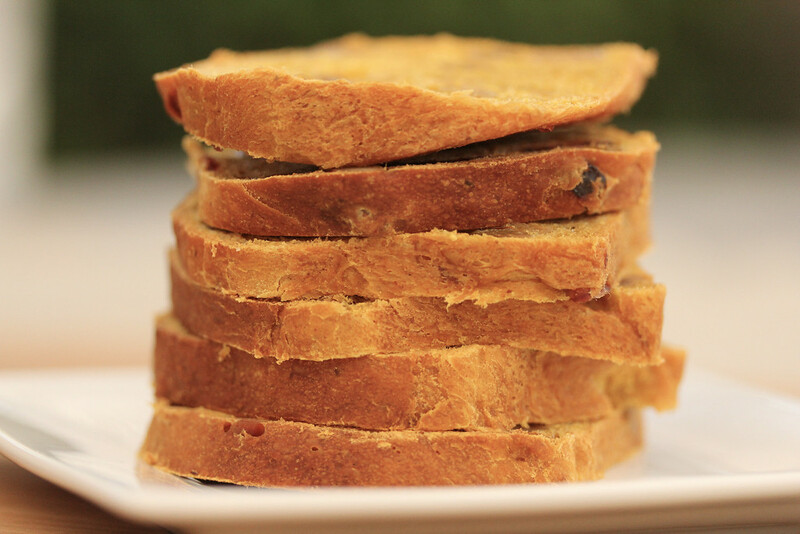 This bread makes great toast for breakfast. See all those slices? Gone. I am amazed at how happy I am with this bread..... and I got to use my mini loaf pans. Validation. Oh yeah. To get the recipe, hop on over to Rebecca's beautiful blog, This Bountiful Backyard. Or better yet, buy the book! To find out more about Tuesdays with Dorie, click >here<.